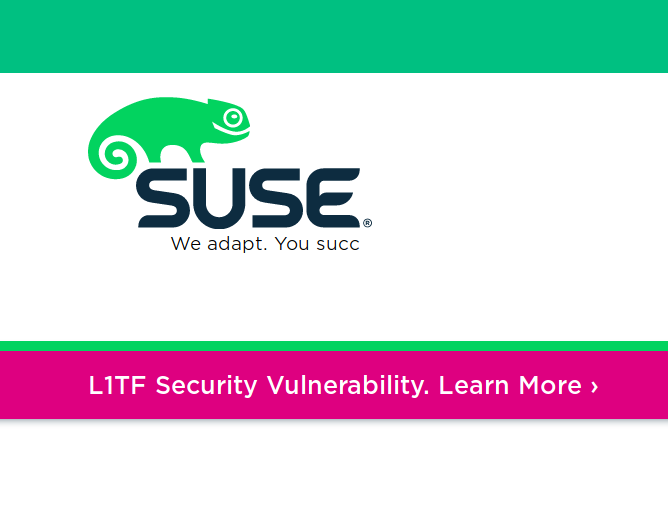 I was just doing typical enterprise stuff and suddenly I noticed that for some reason SUSE's tagline, "We adapt. You succeed." had been sliced off to "We adapt. You succ"